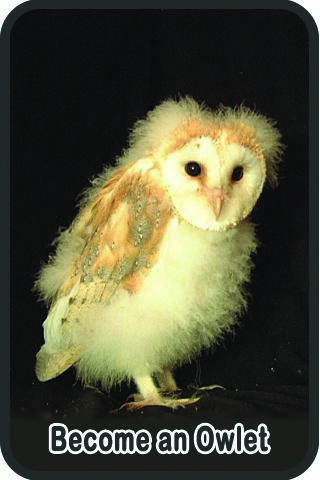 You are here: Home › Barn Owl facts and fun for kids › Owl crafts › Owl crafts: How to grow a green owl cress-head! 4 recycled lids – or circles of card (2 large + 2 small). Kitchen paper and/or cotton wool. Packet of cress seeds (or mustard & cress). 1. Peel off the yoghurt pot wrapper or cover the outside of the pot with plain paper. 2. Glue on some big owl eyes made from a small lid stuck inside a larger lid (or use card). 3. Add a small beak made from a triangle of card. 4. Scrunch up some kitchen paper and put this into the pot, followed by a layer of damp cotton wool, leaving a gap of about 20mm below the top of the pot. 5. Sprinkle the cress seeds on top of the cotton wool pressing them down very lightly. 6. Leave the ‘owl’ pot in a warm, light place, such as on a window sill. 7. Watch carefully for signs of growth which should happen after 3 or 4 days. 8. Make sure that the cotton wool stays damp and gently add a little water when necessary. 9. When the cress is about 30mm high, cut with scissors. 10. Add your cress to a salad or egg and cress sandwich, and eat – delicious!